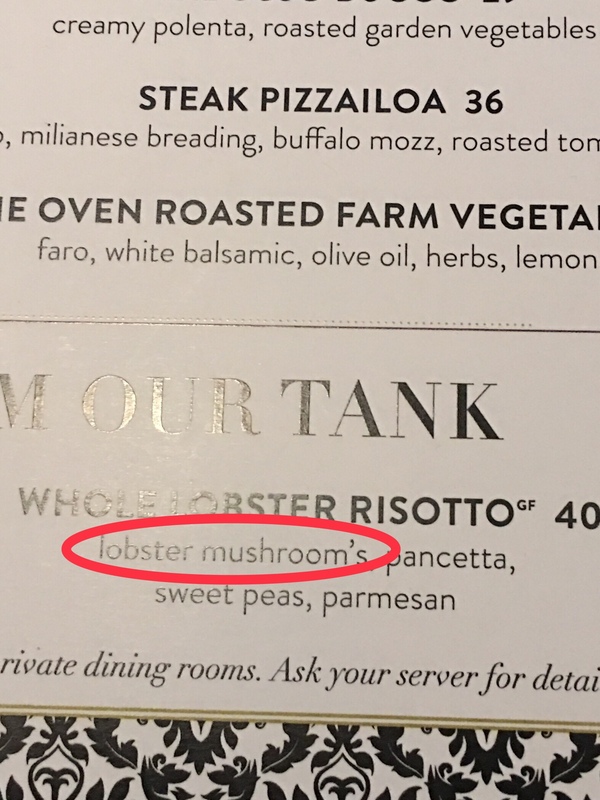 Grammar Giggle – The Lobster Mushroom’s What? I caught this one on a recent trip to Norfolk for our conference. Yet another misuse of an apostrophe. Apostrophes do not always make a word plural!